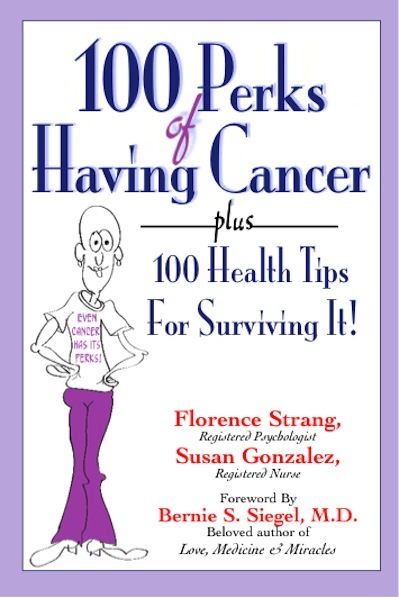 Dana’s Gift: A Tribute | The Perks of Having Cancer! 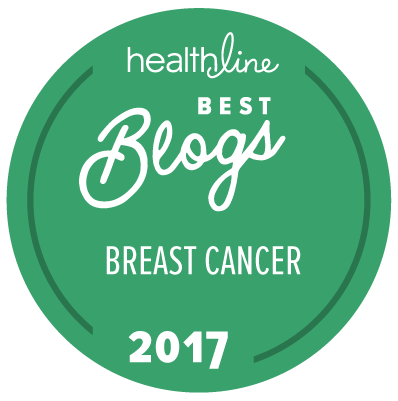 “What room is Dana in?” was the question on nearly every woman’s lips at our annual breast cancer retreat. We all knew that where there was Dana, there was fun, laughter and music. With more than 200 women attending the retreat each year, it is impossible to get to know everyone. Over the years, we have formed our own little groups, or cliques you could say. But everyone seemed to know Dana and she was considered a part of every group. She “belonged” to all of us. She was our Rock Star! 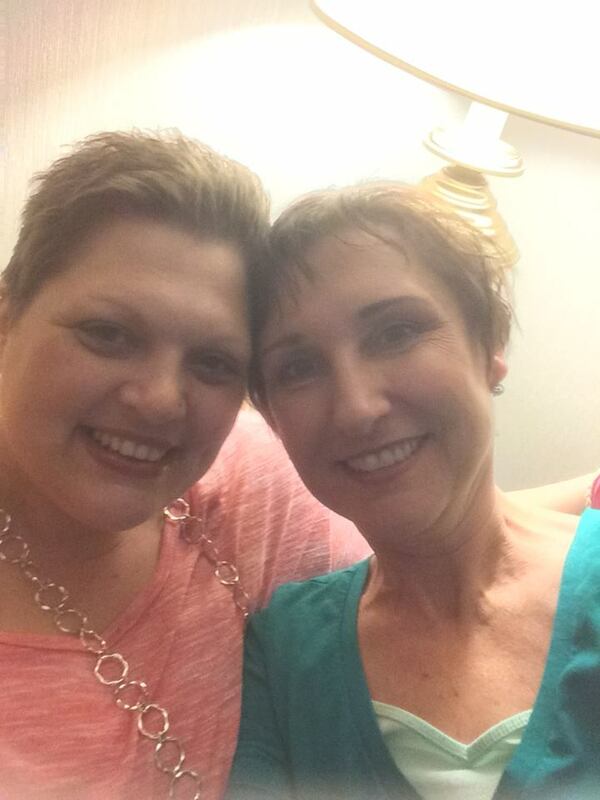 Dana and I at our annual breast cancer retreat. 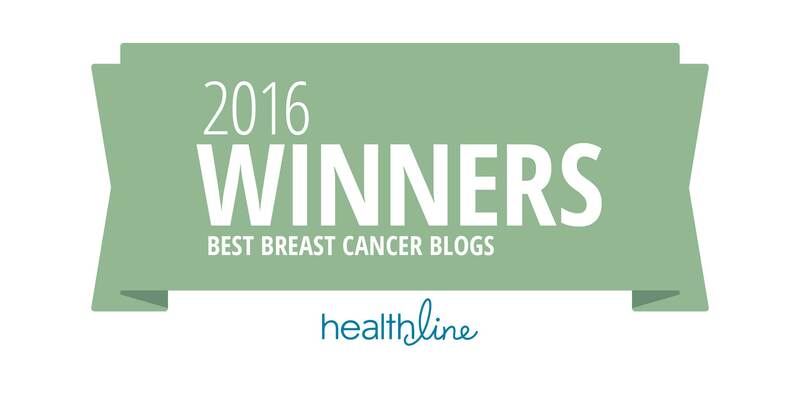 Over the following months, as I underwent chemotherapy, radiation treatments and a mastectomy, Dana was always there, cheering me on. Although we had not met in person at that time, she became my mentor. I opened her emails and Facebook messages as if they were a gift: The gift of hope. Then, just three months after she first contacted me, she sent me a message that turned my world upside down. Her cancer had come back and this time it was stage 4. I was devastated! At that point, I was still going through my treatments and I didn’t know what the outcome would be for me. Dana was my hope and my inspiration. Because she had beaten cancer, I believed that I too could beat it. 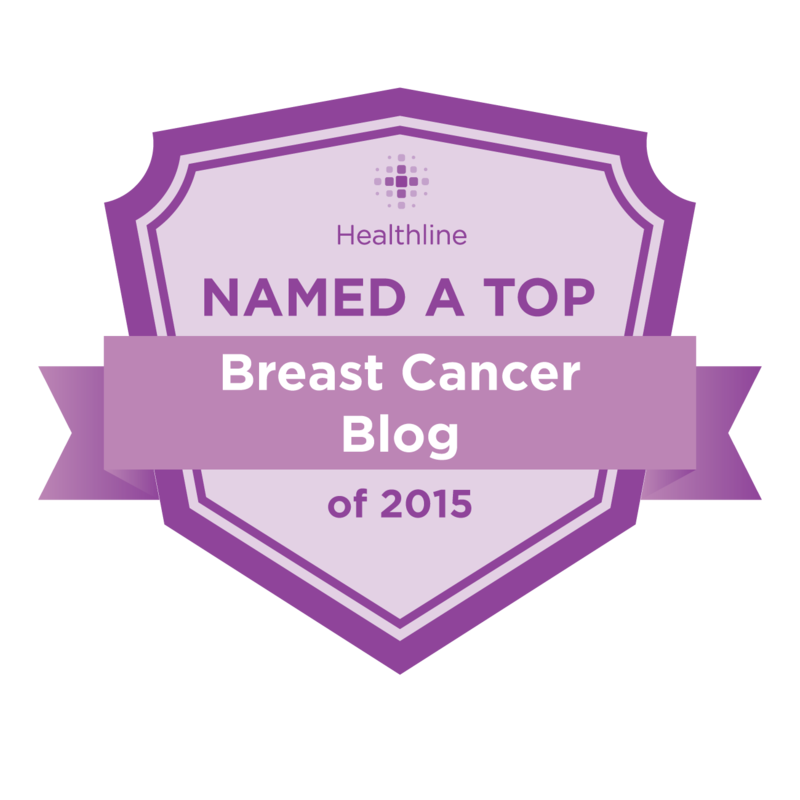 But with her stage 4 diagnosis, I lost faith in my own ability to survive. However Dana remained positive even in the face of this terminal diagnosis. She never lost hope, and she never, ever lost her faith and will to live. Seeing her strength and her will to survive gave me back mine. Dana was a friend to all, and a better friend you could never ask for. I was privileged to meet some of her family and through them, I learned how Dana excelled, not just at being a friend, but also at being a mother, a wife, a daughter and a sister. Sometimes when I was worried about Dana, I would creep her Facebook page to see what she was posting. Like me, she was very open about her disease and would sometimes post about her health status. One night, just about a week before she died, I could not get her off my mind. I checked her Facebook page and there was a post, “Dollhouse for sale.” I smiled believing that death could not be close if she was still dealing with mundane, day to day things like de-cluttering her home. But that was Dana; being a good mom right to the end. Her husband, Todd, told me that after she passed, he was becoming frustrated with some paper work that he had to do. Then he discovered that she had filled out these papers before she died, to save him the frustration. 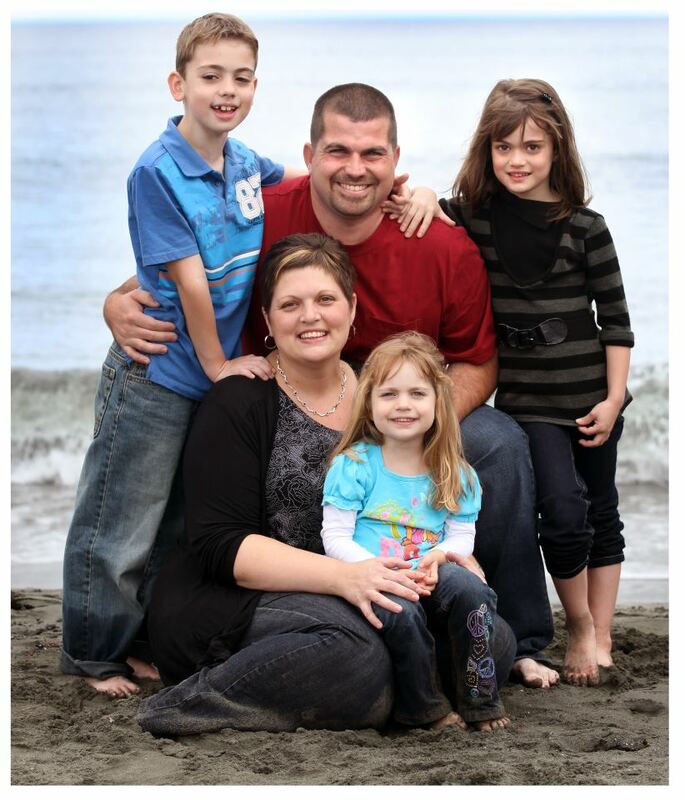 Even in the face of death, Dana continued to take care of her children and her beloved husband. Dana and her beautiful family. The way in which a man accepts his fate and all the suffering it entails, the way in which he picks up his cross, gives him ample opportunity-even under the most difficult circumstances-to add deeper meaning to his life. He may remain brave, dignified and unselfish. Or he may forget his human dignity and become no more than an animal…….It is true that only a few are capable of reaching such high moral standards. Dana is one of the few who was truly capable of reaching these high moral standards. I can only imagine the anguish that I would suffer at the thought of leaving three children and a loving husband. But just weeks before her passing, Dana said that she was not afraid, nor was she bitter or resentful. She told her friends that she experienced a peace that was beyond understanding. She remained brave, dignified and unselfish to the very end. Dana died just as she lived her life: with grace. There is an old expression, “Only the good die young.” I believe that there is some truth to that. I believe that our souls come to this earthly plane to achieve greater levels of goodness (or Godliness), and to help other souls to grow and to evolve. There is a key truth that our souls must learn, but not only learn, we also must live this truth before we are ready to leave this world. Some learn to live that simple truth in a short life span, while others die after living a long life without ever having discovered it. The truth is this: Love is all that matters. Dana lived that truth every day. 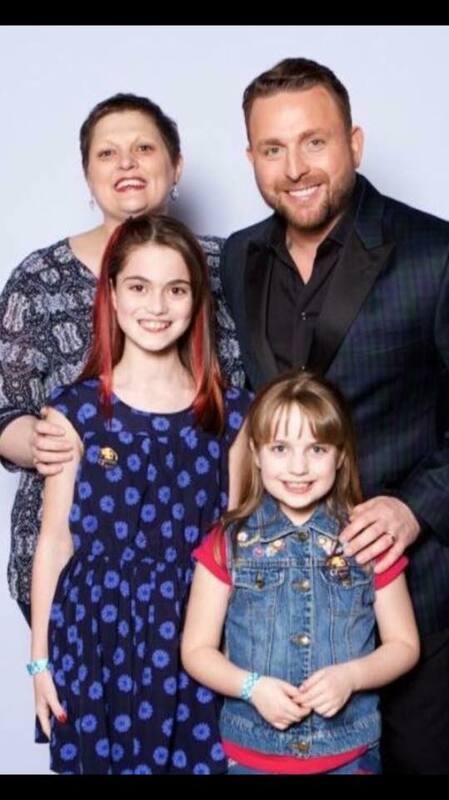 The love that she showed to her friends, her family, Johnny Reid, (who was as much a fan of hers as she was to him), and all who she met, was so pure and genuine. Dana just had that way of spreading love and joy everywhere she went. And that is why we, her survivor sisters, swarmed to her like bees to honey. Just to be in her presence was a gift. Dana was a great fan of Johnny Reid, and he was a fan of hers. The last words I spoke to Dana were through the same medium as the first words we spoke, a Facebook message. Thank you for the gift of your friendship and for the gift of your love, my friend. Rest in peace. ← I Won’t Let Them Get To Me! That is for sure! She will never be forgotten. Sigh. Sending you love through my tears. This is beautiful, Florence. Thank you. Thank you, Linda. Words cannot even capture Dana’s spirit. You had me in tears today as I read your beautiful tribute to Dana. She was one in a million for sure. I only met her briefly but she touched my heart with her strength, courage and love of life. 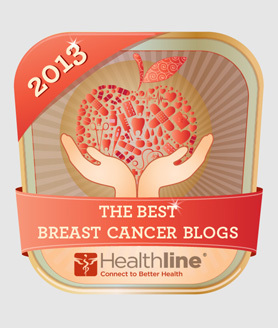 Please keep writing your blogs. I look forward to getting your book. Thanks for your kind words, Kimberly. She certainly was one in a million. It took me a while to capture her in words, since it is hard to describe such a beautiful spirit. thanks for your kind words. Thank you for this Florence….I work up this morning to the thought thatthis – my 38th birthday – would be the first without Dana..no call, no gift, no sappy Facebook post and the acknowledgement that she is no longer here with me. The fact that your article was the first thing that popped up on my Facebook page this morning – makes me feel like she is still with me -she is a gift I will have for the rest of my life. Thank you for the beautiful blog post – a beautiful gift to receive on my birthday! Happy Birthday, Lori. I tried last night over and over again to post this, but it would not let me post. After much frustration, I decided to put it away and try again in the morning. I said to Steve, “There is some reason Dana does not want this posted tonight.” Then it posted easily first thing this morning. So maybe it was her birthday gift to you! Thanks, Susan. Talking with you on Thursday night helped me to finish this post. It took a long time for me to finish it. Amen to all that Flo. Thanks for this. She certainly was a very brave woman, Jane. Thank you, Florence, for this beautiful tribute to everyone’s friend Dana. 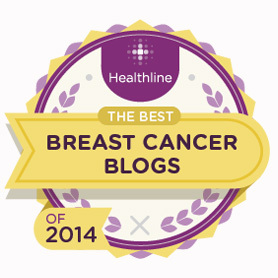 I,too, am a breast cancer survivor…it was just a week before my 43rd birthday in December 1994, after too long of seeing doctors and having numerous tests, that I was finally diagnosed and had a total mastectomy 2 days later, followed by chemo and radiation. And every day I am thankful that I have had no setbacks of any kind,,,but the fear is still there every day. 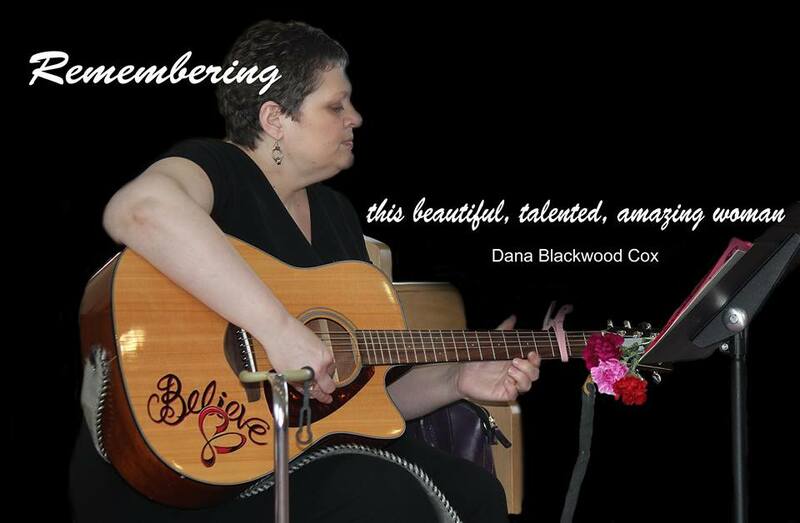 I have known the Blackwood family for many years, from when we used to visit family living in Glovertown at the time, and even though I hadn’t seen Dana in person since she was very young, I have followed her cancer journey, and was amazed at her spirit and faith that all would be well. Dana may be gone from this world but she will live on forever in the hearts of those who knew her. I like what you said, “Everyone’s friend” that describes Dana very well. Thanks for your comment. What a beautiful post….She truly was an inspiration to many. What a fun person she was to be around. She had a knack for making you laugh no matter how sad you were feeling. And she did it this morning for me, through your post…..I can see her now, “Todd, stick me with some pain meds, I have things to do, sort out some gifts to friends and family, plan a funeral…O Yes,, better try to sell that dollhouse while I’m at it “. I am sure she will continue to make us smile. She will certainly continue to make us smile! Beautiful words for a beautiful soul. Dana touched so many, and I really don’t think she knew the impact she had on everyone. One of Dana’s charms was that she really did not know the impact she had on others. She once said to her father, “I don’t know why everyone says I am so special. I am just a regular ole person.” That was Dana! Florence, I can so vividly recall the day that I, along with a couple of my friends/colleagues from NLCPA, attended your book launch at Chapter’s. I was so very impressed with you and your book and I was also very drawn to your guest, Dana who enthralled us all with her story, her song, her voice and her spirit. Like you, I have become a Facebook friend and have followed you both for the last few years. Dana was one of those beautiful souls that enriched the lives of everyone who knew her. Like many others, my heart broke at the news of her passing and for what this meant for her husband, children, family and close friends. I think everyone is richer for for having known Dana in any capacity and I thank you for this beautiful reflection of Dana. Like with Dana, we are grateful for knowing you and you teach us so much about life and about living the life that you have been given to the fullest. Thank you, Tamar. I will always cherish that memory of having Dana join me on stage, with little Claire at the NLCPA conference. What a beautiful and fitting tribute to your courageous friend Flo. Thank you, Kathy. I am happy that you were able to meet her. I have known Dana, and her wonderful parents sine they came to Salmon Cove .she was (and still is )an inspiration to everyone who ever met her..I am a 9 year survivor,.To me she was an amazing person and a great ambassador for the Cancer Cause .rest in blessed peace Dana my friend.